DOWNLOAD OUR FREE PARTICLE RISK ASSESSMENT CHECKLIST TO ASSESS YOUR PROJECT’S RISK. The CEO of a pharmaceutical company discovered their particle problem — too late. The pre-filled device entered the market only to be recalled when silicone oil particles rendered the drug ineffective. His leadership team came from the drug formulation side. For them, risk management meant well-run clinical trials. Drug formulation has a significant impact on particle risk. Large molecule protein-based drugs have more potential to aggregate and generate hazardous particles than small, chemically manufactured molecules. High pH buffers can attack glass containers to generate particles due to glass delamination. The container you choose plays a crucial role in assessing the risk of a product recall for your pre-filled device. All of these choices have pros and cons when it comes to particle risk. Your specific risk profile will depend on the choices you make. The emulsion is sprayed onto a glass container and then baked at temperatures exceeding 300°C. The baking process helps to remove the water of hydration on a glass syringe and forms a thinner lubricant coating than standard silicone oil. This process will reduce the particle risk in a container relative to unbaked silicone oil, but can only be used on glass containers not using staked needles (the needle glue degrades at the baking temperatures). Trace amounts of the emulsifying additives may remain in the container after baking. 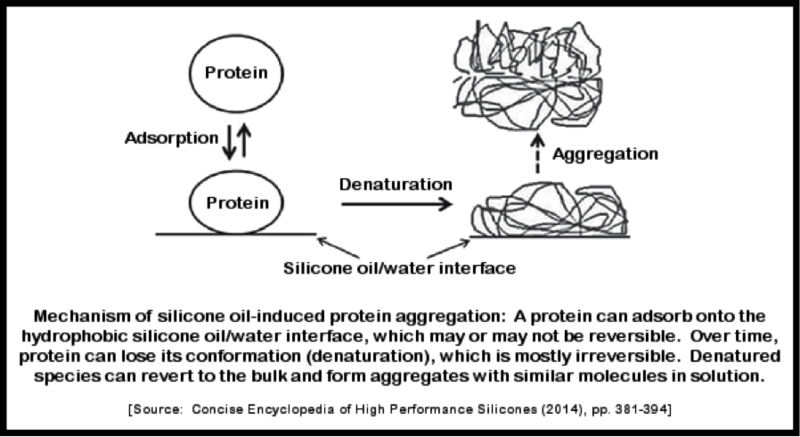 The silicone oil in this process can still migrate and generate particles in the drug formulation since there is no chemical cross-linking between the silicone molecules, or any chemical bonding between the oil and the glass substrate. Some companies offer chemically cross-linked silicone oil for needle and container lubrication. The cross-linked lubricant is more stable in different chemical environments and has less of a tendency to migrate. Chemically cross-linkable silicones contain a mixture of reactive and inert silicone oils. The cross-linking reactions may occur through additive or condensation reactions. In certain cases, the reactive silicone oils may not completely react, and trace amounts of these components may remain in the silicone layer and can adversely affect the drug product. Plasma immobilized or cross-linked lubricants use inert gas plasma to cross-link the lubricant, rather than the reactive functional groups used in chemical cross-linking. Plasma immobilization provides the stability of a cross-linked lubricant without adding any complex reactive groups that could degrade the drug product. This gas plasma crosslinking method can be used with standard inert DC-360 silicone oil, without the need for any additives (TriboLink-Si®). For applications that require a completely silicone-free lubricant system, a plasma immobilized, inert perfluoropolyether based lubricant is also available (TriboGlide-DS®). To be completely transparent, these are the next-generation solutions TriboFilm Research has developed to solve the challenges posed by silicone oil. They are not appropriate for all applications but they do offer two robust alternatives. Syringes completely free of any lubricants have recently been introduced into the market and rely on a laminated plunger to provide a surface with sufficiently low friction to enable movement through the container without the need for a lubricant. 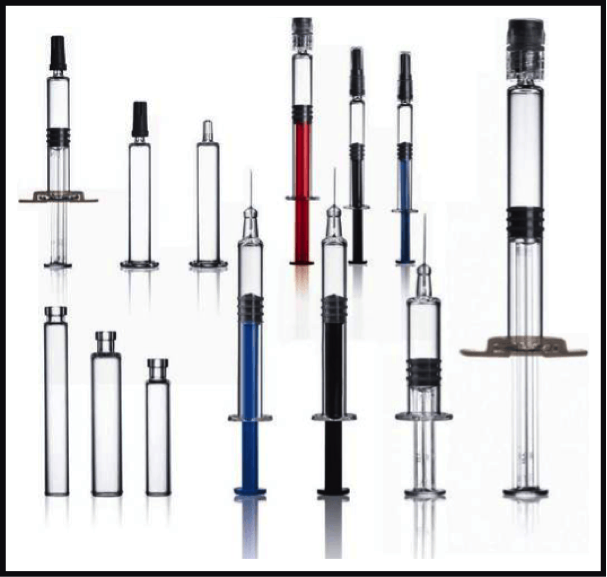 The use of laminated plungers with no lubrication is restricted to plastic syringes and cartridges because glass devices cannot cost-effectively be manufactured with dimensional tolerances tight enough to ensure container closure integrity without a lubricant. Laminate materials that are applied to elastomer closures also stiffen these closures and this reduction in compressibility may also cause leakage. Hence the design of the container and tight dimensional tolerance required could make this a more challenging and expensive solution. One excellent case study on the U.S. Food & Drug Administration’s website recounts the Eprex® recall of 2003 which was initiated because of leachables from the elastomer formulation. The industry now offers several coating solutions that reduce leachables from the elastomer material by providing barrier protection. If this is a source of particle risk for your device, we can suggest some alternatives for you to investigate further. Most plungers, if not all, are lubricated with silicone oil for both lubricity, and as a processing aid. The silicone oil on a plunger will lead to particles just like the oil used on the container barrel. The lubricant application method for plungers is also very imprecise and in some cases the amount of silicone extracted from the plunger is equal to or greater than that extracted from the container barrel. One way to mitigate this risk is to use the gas plasma crosslinking method (TriboLink-Si®) to immobilize the silicone oil on the plungers. In addition to lower sub-visible particles, plasma crosslinking of silicone oil increases the durability of the lubricant and improves the extrusion forces in case of syringes and cartridges. Your sterilization method can affect the performance of the container and the lubricant. Some sterilization methods can’t be used for certain container formats. Common sterilization methods include ethylene oxide (ETO), radiation, autoclave, and dry heat. Ethylene oxide is the least demanding on the container and lubricant, but it can complicate the device design. This is because the sterilizing ETO gas must be accessible so it can be fully removed from complex geometries or porous container materials. Radiation sterilization is typically only used for plastic components, and can cause some device components and lubricants to degrade. In addition to particle risk this may also significantly alter the device performance. For autoclave or dry heat sterilization, the components should be able to withstand the high temperatures. Even so, there is potential for degradation of the components at high temperature — this ultimately increases the risk of particulates or drug denaturation. One example from our experience where the sterilization process generated particles is a device that was terminally sterilized using an autoclave method. After sterilization, the number of sub-visible particles in the container jumped from a few hundred particles to a few hundred thousand. 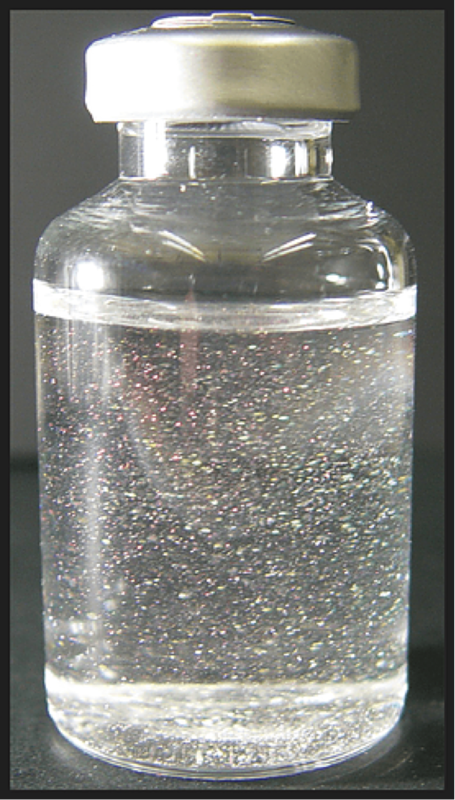 Most of these particles were silicone oil droplets that migrated off of the container. This silicone oil migration not only generated many particles, but also significantly increased the plunger forces in the container. In this particular case, we mitigated these issues by cross-linking the lubricant using atmospheric plasma. The end use of the product can play a significant role in the risk associated with particulate contamination. When the device has a specific force requirement or moves at slow speeds, the migration of silicone oil off of the barrel and into the drug formulation will negatively affect the force performance and may cause device failures. One of our clients had a multi-dose bolus injector that went through numerous start-stop cycles for every container. Each time the plunger stopped, it would cause the silicone oil to migrate into the drug. This led to increasing particulate contamination with sequential injections. As you evaluate the particle risk for your pre-filled device, we invite you to reach out to us. This framework is a good starting point, but there is a lot more we cannot cover here, and each project has its own interdependent risk factors that are unique to your situation. 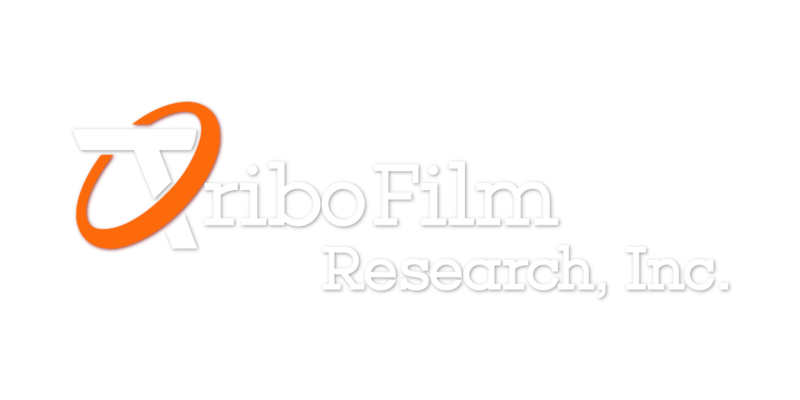 At TriboFilm Research, we never try to sell because we don’t like the feeling of “being sold to.” We present our knowledge, and let clients decide what’s right for them. We are problem solvers and our focus is medical devices. If we cannot help you with your problem, we will recommend someone who can. Did you find this information useful? Have ideas on how we can improve it? 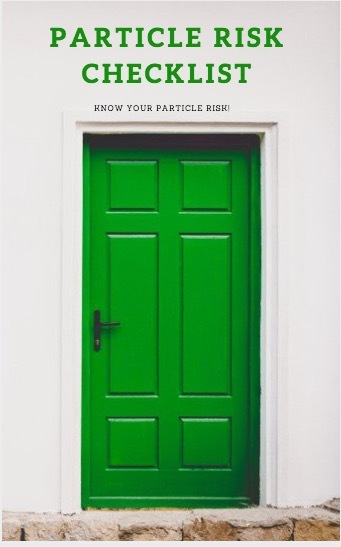 If you have an interesting particle risk case study to share of feedback to contribute, please get in touch with us! All information you share will be kept strictly confidential. As a research-driven organization, we take intellectual property and privacy very seriously. After we receive your request, we will contact you within 1 Business Day to set up a time. 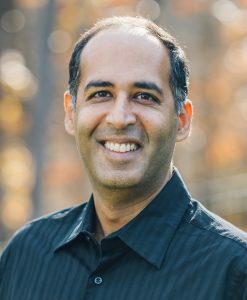 If you prefer to speak to someone right away, please call VInay Sakhrani at +1 919-838-2844 (extension 2#).